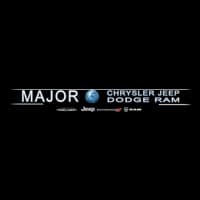 At Major World Chrysler Dodge Jeep® RAM, you can expect us to go the extra mile, like explaining vehicle body styles, to guarantee that each and every one of our NYC, Yonkers, Hicksville, or Hempstead, NY customers is satisfied to the best of our ability. When you purchase new models or used cars for sale at our Long Island City Jeep dealership, we take time to listen to your particular needs and specific situation and factor that information into all negotiations going forward. For businesses in the NYC area, we can help with vehicle logistics! Start your search by getting to know the rugged and refined RAM 1500 and how it can help your personal and commercial business needs. The new cars that are part of our Chrysler, Dodge, Jeep, and RAM model inventory are as diverse as our used cars for sale and are always of high quality and great value. So whether you want to test drive a new Jeep Cherokee or Jeep Compass SUV, or if you want to cruise around New York in a Chrysler Pacifica minivan, you know that you can find it right here. When you’re looking for Mopar parts for your vehicle, our car parts department serving Long Island City, NY knows exactly which work best with which vehicles and trim types. We work with you to determine what will best suit your needs. And you don’t have to worry about car troubles once you drive off of our lot — the team of our Jeep service center near the Bronx, NY is ready and able to repair your vehicle. Our Chrysler, Jeep, Dodge, and RAM dealer is full of skilled service technicians! Qualifying for a New York car financing loan or lease couldn’t be easier with our on-site financial enthusiasts on your side. We know all of the ins and outs of finding quality financing solutions, and that means you can spend less time going over paperwork and more time enjoying your new car. We even have plenty of special programs for those of you who want a new car and are in the military, have a disability, or own a business. With all of the fantastic services we provide, like safe driving tips in NYC, it’s no small wonder why so many New York customers keep returning to and contacting our local auto dealership. We proudly serve residents in the Bronx, Brooklyn, Manhattan, and beyond. Visit our Long Island City Chrysler Dodge Jeep RAM dealership on 50-30 Northern Blvd in Long Island City, NY, and find out for yourself!